There’s a problem in your PATH, locate your ocaml installation dirs, like /usr/local/bin and /usr/local/lib/ocaml and export them into the path, then launch eclipse from the same environment as the one you’ve just created from your terminal (where you launched the export command), with ./eclipse and stuff, you know that part. Now eclipse+ocaide should do its job. You don’t believe me, don’t you? 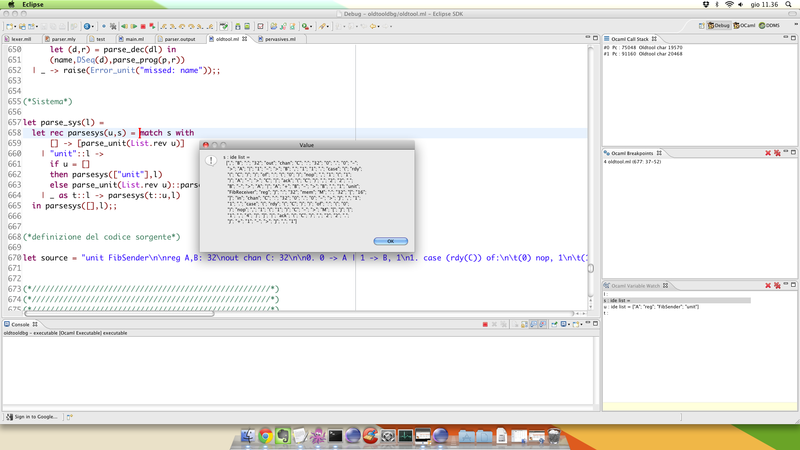 I’m also running the debugger! I can now finally understand certain pieces of code running under the hood!